For many years, U.S. News & World Report has been the "go to" publication when it comes to college rankings. 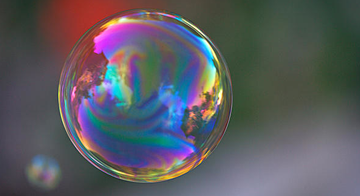 So it was surprising for us to see a major article they just put out, arguing that college admissions in the U.S. is in a bubble — and it's going to burst at some point. The rising financial and psychological cost of college, coupled with declining benefits and the student loan crisis make for a bubble in college admissions. And some point to the slower rise of college enrollment as a sign that the cracks are beginning to show. Read the full article here, and let us know if you agree. Is the college admissions bubble going to burst at some point?